Ask us about our new high quality, protective dust bags. With ABV Packaging you can count on getting the very best quality vinyl bags & packaging at or below wholesale pricing. Going the extra mile to ensure that each product we sell has ABV’s full guarantee, or we will make it right. 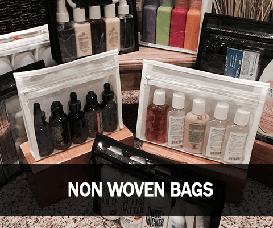 Furthermore, ABV pioneered the first line of vinyl bags & pouches tailored to the Health & Beauty industry. Working with many Fortune 500 companies located here in the USA to many well known brands around the world, ABV knows how vital value added packaging is. From our stock bags to the thousands of custom products we’ve designed for our clients, ABV can honestly say that we go the extra mile to be the best source for all your packaging needs. 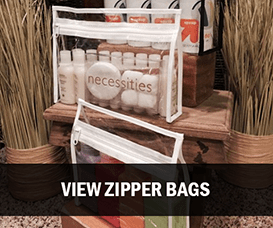 Click To View Our Deluxe Clear Vinyl Zipper Bags & Pouches. 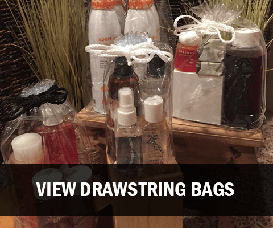 Click To View Our Deluxe Clear Vinyl Drawstring Bags & Pouches. 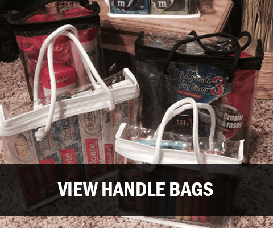 Click To View Our Deluxe Clear Vinyl Handle Bags & Pouches. Click To View. 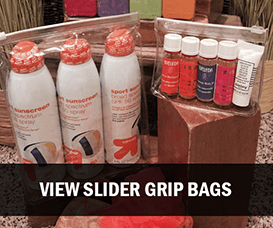 Our Deluxe Clear Vinyl Slider Grip Bags & Pouches. 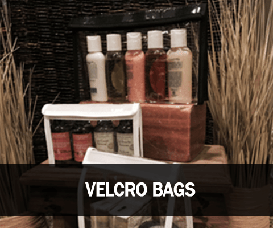 Click To View Our Clear Vinyl Velcro Bags & Pouches. Most of all we concentrate all our efforts on VINYL Packaging and only VINYL PACKAGING; As a result we can continue offering the highest quality at the most competitive prices anywhere in the market. All our clear vinyl bags & pouches consist of the highest grade materials coupled with our 3 stage/triple packaging process. ABV never uses PVC trim like most other companies do, Instead all our trim is either Nylon, Polyester or Non Woven which is another reason our bags not only stand out but outlast the competition. We’ve never looked at what we do as just a bag, Instead it’s a value added solution to help market and sell what you do best. Because ABV offers products for a variety of retail, warehouse and shipping requirements, ABV’s products are the right choice for professional retail packaging. 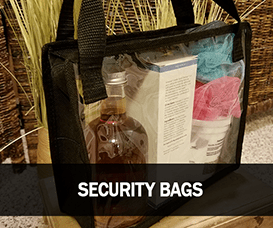 Our vinyl bags offer extreme strength and lets your customers see exactly what’s inside the bag without having to open the packaging & compromising the contents. ABV only uses Super Double Polished Clear films and unlike our competition we offer a much stronger, thicker and durable 8 gauge film vs 6 gauge. As a result our packaging performs better, lasts longer and is more wrinkle resistant. We consider our products to be a value added bonus to what you’re selling and gives your business a leading edge at the cash register. ABV uses only the very best films in the industry. We strive on offering what’s sustainable and therefore right for the future. Most of all ABV believes that going the extra mile makes us the best source for all your vinyl packaging needs. From Vinyl Zipper Pouches, Drawstring Bags to Vinyl Bags & Slings used for warehouse security & distribution. We have exactly what you need and a step above what you’d expect. 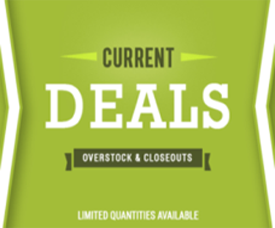 We carry the largest inventory of stock items for immediate shipping. ABV can also custom design a product in almost any shape, size, color or material and have it delivered in as little as 30 days. Not Sure What You Need? Contact Our Sales Team Today! Free Samples & Shipping To The Trade. Call for expert help in tailoring your vinyl packaging needs. ABV is here to assist you in “ringing the cash register”. We offer full service distribution services in our facility in Elk Grove Village, Illinois or our newest facility in Phoenix, Arizona. From storing your goods to packing them out, ABV Packaging is capable of handling all your needs.